Can Los Angeles DUI Drivers Be Guilty If They’re Not Driving? When police arrest a driver on charges of DUI in Los Angeles and causing a death, you can generally assume that motorist was behind the wheel when the accident occurred. But James Ryan, a 28-year-old part-time student in New York, could face up to 25 years in jail for causing the death of a police officer, even though he wasn’t driving at the moment the accident occurred. A jury may soon be deciding his fate. According to multiple media accounts of the October 2012 accident, Ryan clipped a BMW on the Long Island Expressway and then stopped his vehicle in the high occupancy lane (HOV). That’s when another car hit his. Ryan got out of his Toyota after the second accident and waited by the side of the road for the police to arrive. Nassau County Police Officer Joseph Olivieri pulled up on the right shoulder of the road, then crossed over and stood close to Ryan’s car in the HOV lane. 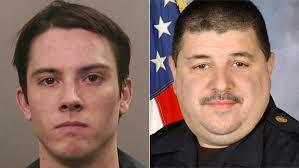 Another vehicle, an SUV, slammed into Ryan’s car and into Officer Olivieri, killing him. Ryan was unhurt, but other police officers at the scene measured his blood alcohol content at 0.13. Prosecutors in Nassau County said that Ryan was at fault for the officer’s death because he started the chain of accidents. They charged him with DUI, vehicular homicide, manslaughter, vehicular assault and criminally negligent homicide. The original trial judge dismissed the charges against Ryan because he did not agree that the chain of accidents had caused Officer Olivieri’s death. But the prosecutors appealed, and the appellate court sided with them, so Ryan is now on trial. Prosecutors gave the SUV driver who actually hit the officer immunity from prosecution in return for his testimony against Ryan. The jury will have to decide Ryan’s guilt, but the decision could have implications even for drivers outside of the State of New York.